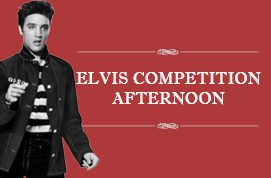 * All feature performances, including the ETA Competition Semi Final and Final will be accompanied by Canada's Premier Elvis Tribute Band, The Casino Brothers Band. 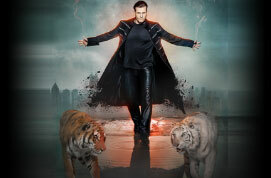 bonus for weekend pass customers: weekend pass holders receive 15% off dinner/show to see Wild Magic at the Greg Frewin Theatre, for the evening show on Thursday April 25. Weekend pass buyers for the Niagara Falls Elvis Festival will receive 15% off this magical show at the Greg Frewin theatre. Wild Magic is an amazing night of magic for the whole family! discount applies to evening show on Thursday April 25, 2019. 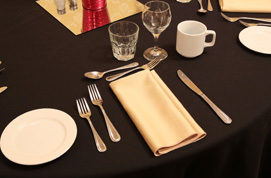 Available as an add-on option to both the weekend pass and show only tickets, guests who have purchased dinner will enjoy our incredible buffet meal before the headliner show. 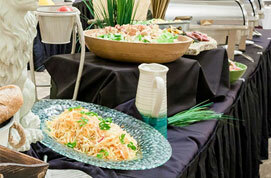 All meals for the weekend are guaranteed to include Southern specialties or a favourite Elvis treat. 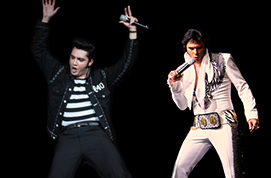 Starring Jay Dupuis - Ultimate Elvis® Tribute Artist 2014 Champion and Cote Deonath, 2018 Niagara Falls Elvis Festival Champion. Stay and party after the show. There will be a cash bar, live Rock and Roll, and dancing because, if you like it, if you feel it, you can't help but move to it! 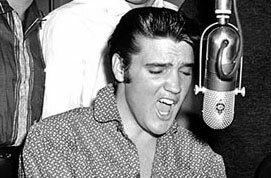 Watch as each of our ETAs compete for $5,000 in prize money and a chance to represent Niagara Falls at the 2019 Ultimate Elvis Tribute Contest in Memphis. Competitors will perform three songs for the morning competition. All songs in the preliminary rounds will be performed with tracks. Guests who attend both the morning and afternoon competition will have the opportunity to cast their vote for the People's Choice Award. Watch as each of our ETAs perform three songs for the afternoon competition. All songs in the preliminary rounds will be performed with tracks. The top 10 will compete in Sunday's Semi Final. 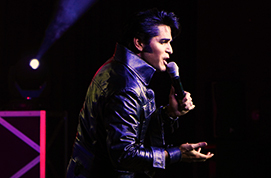 Featuring the remarkable showmanship, musicianship and singing of Dean Z - Ultimate Elvis® Tribute Artist 2013 Champion and Diogo Light. Stay and party after the show. There will be a cash bar, light snacks, live Rock and Roll, and dancing because, if you like it, if you feel it, you can't help but move to it! 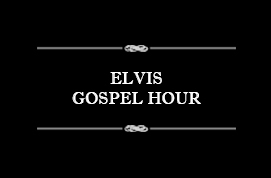 Available as an add-on option to both the weekend pass and show only tickets, guests who have purchased brunch will enjoy our incredible buffet meal prior to the Elvis Gospel Hour. The top 10 ETAs will compete for a spot in the final, performing three songs accompanied by The Casino Brothers Band. 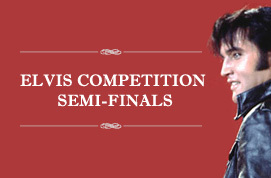 The top five ETAs will compete in the evening finale for the chance to be crowned King of the Festival and earn the right to compete in the finals of the 2019 Ultimate Elvis Tribute Contest in Memphis. Each of the five finalists will perform two songs, accompanied by The Casino Brothers Band. 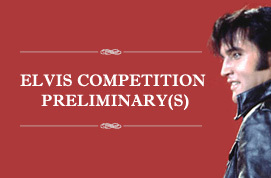 © Elvis Presley Enterprises, Inc. ELVIS, ULTIMATE ELVIS TRIBUTE ARTIST CONTEST and LOGO are trademarks of Elvis Presley Enterprises, Inc (Graceland). All rights reserved.